One of the resons why I made this blog, apart from articles in Czech online magazines, is that there is more than just a kayak in my trips, and I feel that it is a shame not to mention about it. Generally, there is more than a paddle and a boat, not only a dull image of a freak floating on the water. 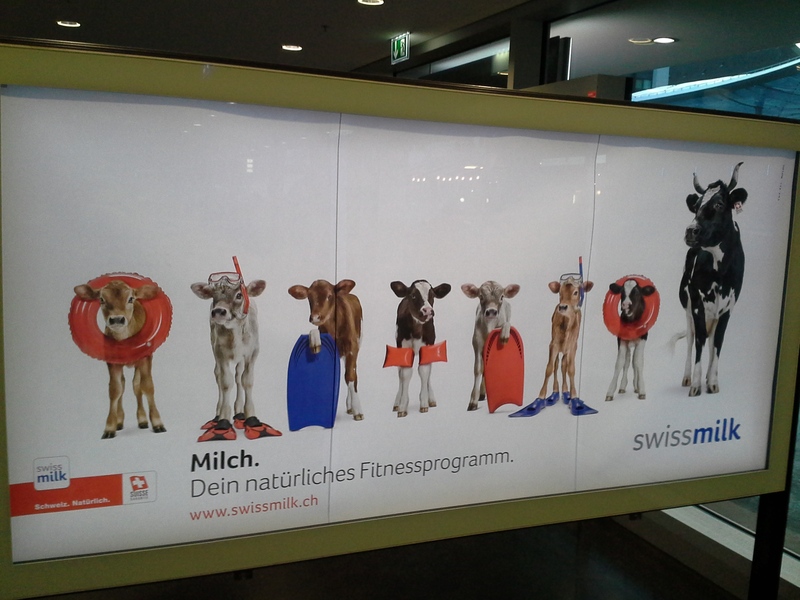 So here we come to the point in this recent update about my short trip to the country of pretty cows. I got an idea from my dad, who visited this small lake full of small and big waterfalls (since then, I was intrigued by the image of that place). So my wife, me and our relatives left towards the lake early Saturday morning. 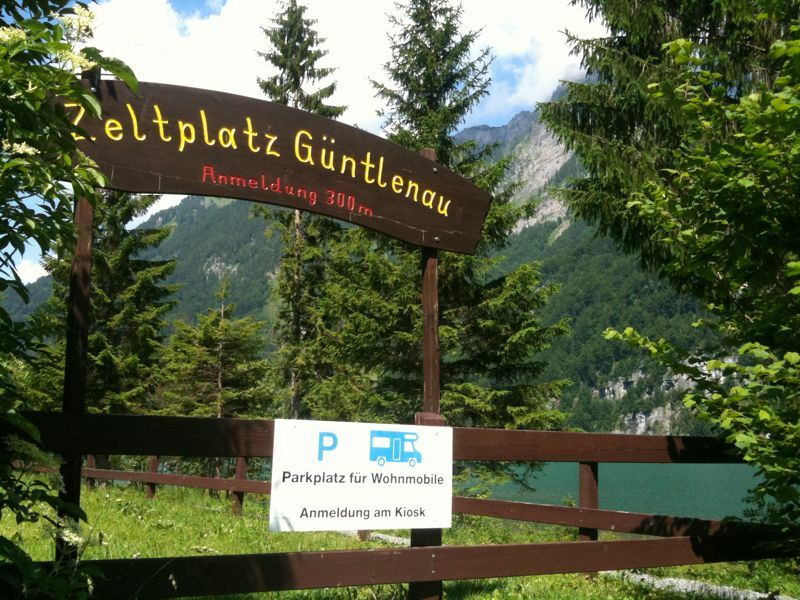 The final destination was camping, situated directly at the lake. This trip was not primarily a kayaking trip but you have to understand that I have a certain disability that can be determined by a constant urge to have a floating device on the rack of my car 🙂 – this might sound strange, but believe me (and I have tested it), that seeing things from shore and from water is a lot different, especially the feeling of freedom that you may feel. To walk around the whole lake will take you about 4 hours. 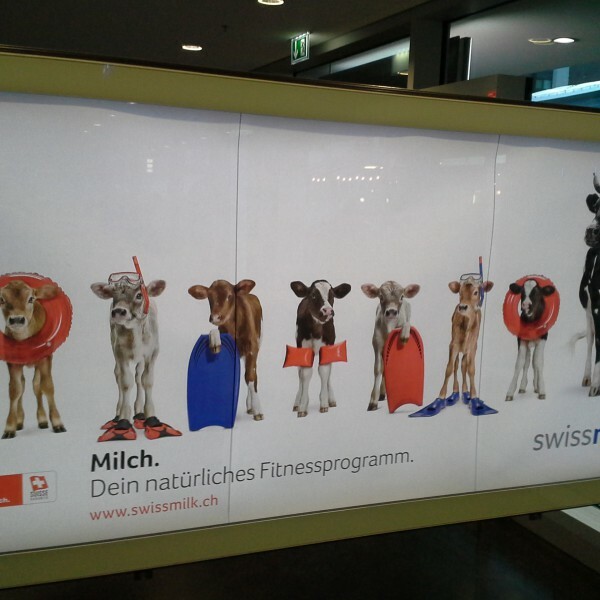 The walk is accompanied by the symphony of alpine cows. 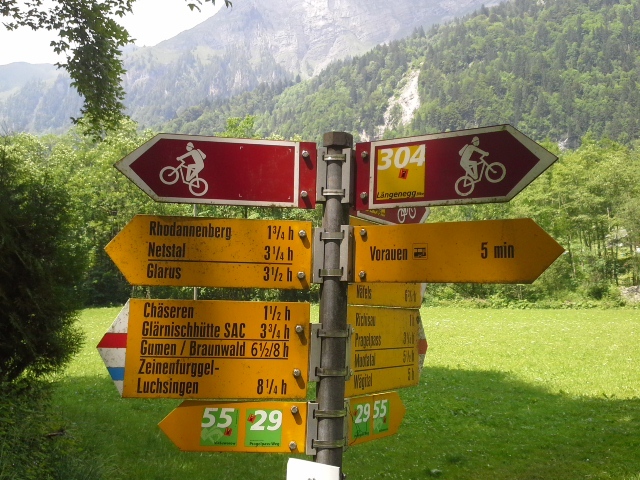 The trails vary from easy to tough with possibilities to go on a longer overnight hikes (of course illigaly overnight as it is prohibited to camp in Switzerland..but I will find the way:). You will certainly loose the count of waterfall numbers while hiking around the lake as there are many and boy, they are so beautiful…breathtaking…mesmerizing!!! The air can’t be more fresh and the color of water can’t be more turquoise than it was. The power of the waterfall is immense and it is astonishing to watch the energy of the falling water break over the rocks. The lake is 50 metres deep (I guess it is the deepens point) and max 9 km in lengh (both ways). We went few times there and back with my brother in law and sister and the same amount of paddling the next morning. The water is cold but very refreshing. 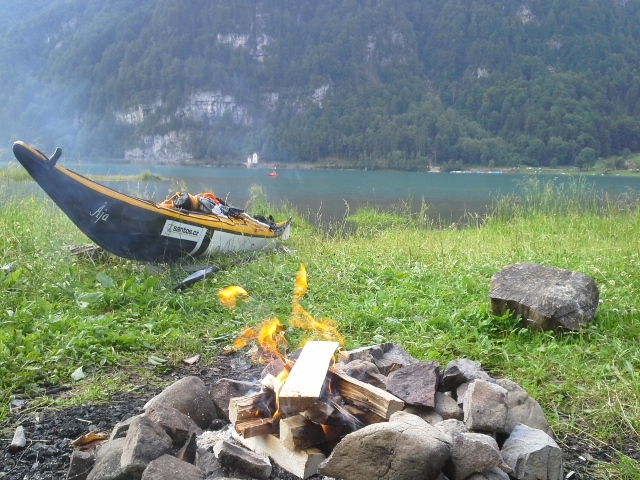 The camping is just great as you get to have your own private spot to make fire next to the lake (plenty of these places all around the lake) and the wood that we bought at the reception also pays off as it was very dry and lasted very long. Well, I can definately recommend this place as a perfect location for a vacation!